Take 2-3 capsules six times daily, maximum 18 capsules daily. Baltojo gluosnio žievės buvo naudojamas tradicinėje medicinoje kelis šimtmečius. Baltojo gluosnio (Salix alba) yra rūšių medžių, kad yra gimtoji į Vidurio ir Pietų Europoje, tačiau ji taip pat yra auginama Šiaurės Amerikoje. Salicinas glikozidai yra išgaunamas iš šio medžio žievės. Jie lūžti į salicilo rūgštį mūsų organizmas. The bark of the white willow has been used in traditional medicine for several centuries. White willow (Salix alba) is a species of trees that is native to Central and Southern Europe, but it is also grown in North America. Salicin glucosides are extracted from the bark of this tree. They break up into salicylic acid in our organism. 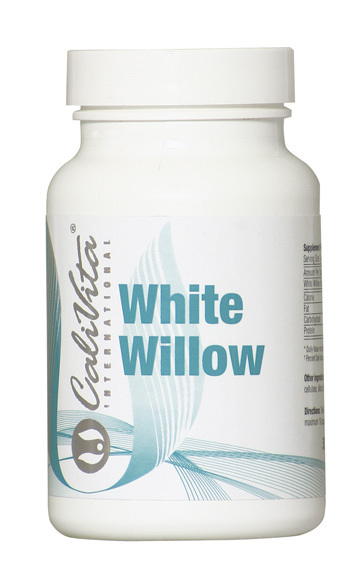 White willow bark contains salicin glucosides, which are transformed by the liver into salicylic acid. The analgesic (pain relieving) properties of salicylic acid is such that a form of it (acetylsalicylic acid or ASA) is the key ingredient in many pain relievers, such as aspirin. As well, it may have anti-inflammatory properties, and maybe helpful for fever relief. Indications are that it is a mild antibiotic, and when combined with bismuth, helps control heartburn, gas, nausea and diarrhea. Studies have indicated it supports the regeneration of skin cells, and for this reason, is an ingredient in many skin care and shampoo products. Clinical studies have shown that the form of salicylic acid found in aspirin (ASA) is useful in the prevention and treatment of cardiovascular disease. It is thought to inhibit the clumping of platelets, which may in turn support improved circulation and prevent narrowing of the arteries. The results have been encouraging enough that the American Heart Association officially recognized the benefits of aspirin for patients with cardiovascular conditions. This product is for adults only, and should not be taken if you are pregnant or nursing. Do not take this product if you are sensitive, or allergic to any form of salicylic acid. 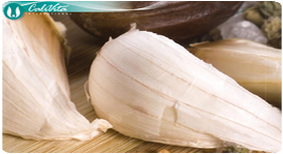 This product is not intended to treat , cure or influence any disease or medical condition. If you have any health problems, you should seek qualified medical advice immediately.